London Limo Hire Blog – Welcome to our Blog, Limo Hire London would like to explain a few things about hiring limousines in London today, Please be aware that stretched limousines are a very popular means of transport and can be used for many reasons and occasions such as birthday parties, celebrations retirement parties weddings which they are most popular for as they can carry more than 4 people but a maximum of 8 people by law which applies to the limousine above as this is a standard limousine, if you have more than 8 people in your party than the maximum is 16 people which relates to 4 x 4 vehicles such as stretched Navigators like the one one below and Stretched Hummers. Please be aware that we might not always be able to drop you at your particular destination due to the road not being big enough, do not forget Stretched Limousines originate from America and their Roads are much wider than the roads in the uk, this is more of a problem in Central London especially around the Soho Area where there are lots of back streets which it is impossible for our limousines to go down and normally results in us getting a big repair bill due to our Chauffeurs trying to please our customers, so please do not put our Chauffeurs under pressure to do some thing that is just not possible or practical. Our Chauffeurs phone number is always given to our customers and our office is manned 24 seven so there is never a problem meeting your Limousine and Chauffeur at the end of your evening. Our Limousines are kept in tip top condition and are serviced and maintained in our in house workshops and regularly valeted to ensure a spotless limousine for every Limousine hire booking. Wedding Car And Wedding Limousine Hire come with Ribbons and Bows to the colours of your Choice complimentary along with soft drinks and Bubbly at all Times, we do not supply Champagne as this would be expensive as a magnum of champagne would put our Limousine prices at least 80/100 pounds more due to the cost but we are more than happy to supply proper Champagne if our customer has no problem paying the extra charges which are supplied at cost price to our customers. Please Note Wedding Car and wedding limousine Hire are Hired on a Minimum of 3 Hours due to what we call down time as we cannot hire our vehicles before or after your event due to the fact they have to be kept spotless and have to be dressed accordingly, and our Limousines and Top spec Executive Cars are Hired by The Hour Mileage does not come into our Prices although this is factored in for longer journeys, weddings normally take 3 hours to complete which is more than enough for most wedding itinerary’s. The laws for Limousine Rules and regulations have changed since 2010 and there are still limousines out there or limousine company’s not following the correct rules and regulations but this is what happens when the letter of the law is not followed http://www.itv.com/news/london/update/2013-05-14/firefighters-saw-up-a-limo/ here is a unlicensed limousine if you look at the bottom of our website you will see our operators licence numbers so if you are looking at hiring a Limousine for your daughters next birthday present just take your time to look at the obvious and ask the correct questions, or even make a appointment to view the limousine on offer and ask to see the operators operators licence number, we always ask our customers to view if they are in doubt. 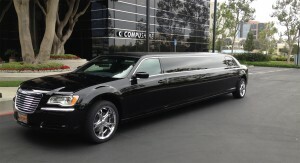 I hope you have enjoyed reading our Blog and we look forward to receiving your comments regards London Limo Hire.